Daikanyama, Tokyo, Japan. September 2013. 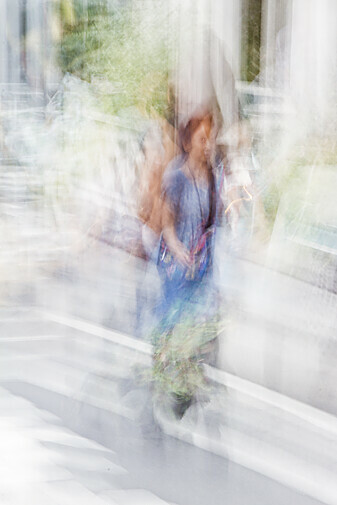 This entry was posted in Abstract & Motion, Observational, Photography and tagged Blue, Daikanyama, Japan, Street, Street Life, Tokyo, Walking on November 24, 2013 by damienpitter. 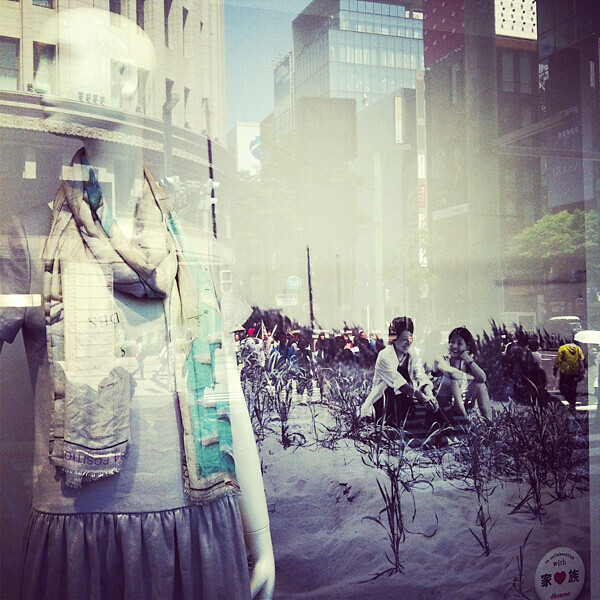 Daikanyama, Tokyo, Japan. September, 2013. 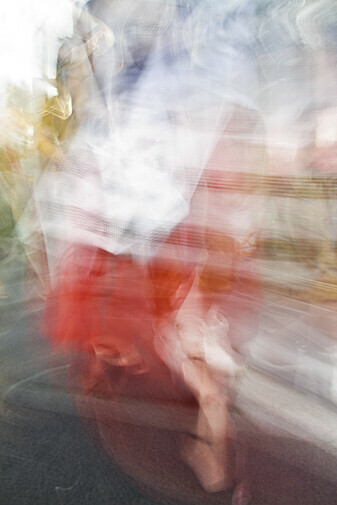 This entry was posted in Abstract & Motion, Observational, Photography and tagged Daikanyama, Japan, Red, Street, Street Life, Tokyo, Walking on November 16, 2013 by damienpitter. New York City, USA. July 2013. New York City remains elusive to me. It has such a distinct presence, such palpable character and yet I find it an extremely difficult city to photograph. It feels as though the scale of it is too big for my camera, like wherever I point the lens, whatever doesn’t quite fit in the frame is so integrally part of the picture, that the photograph I take ends up feeling diminutive, reductive, trivial. One needs either to zoom out and grapple with the full scale of Gotham or to zoom in HONY style, on the faces that make the city’s enormity irrelevant, or perhaps, in a kind of geographical inversion, put it into context. My respect for NYC photographers has grown immensely since I first tried to shoot the city. 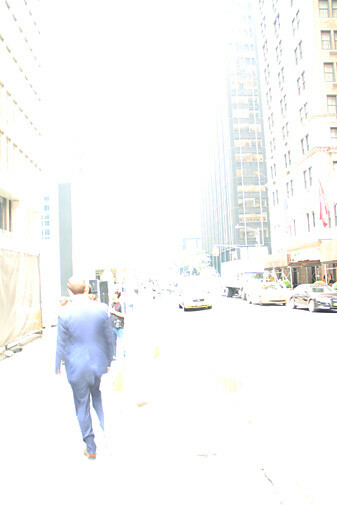 I was in New York again this summer, in the midst of my experiments with overexposure, when I came out of the MoMA and took this photograph on West 54th. It offers some interesting possibilities, I think. Some details to focus on, the potential of story in the movement, and maybe a glimpse of scale that implies the bigger picture but doesn’t overwhelm? I’m not certain what I think yet, but it might be worth more exploration. What do you think? 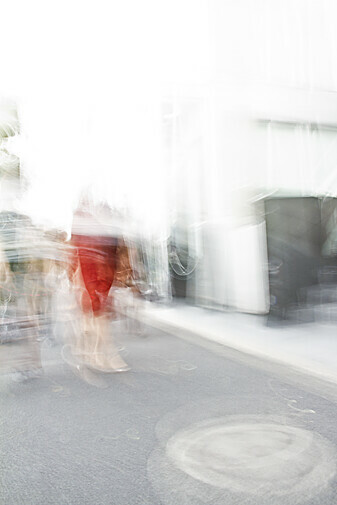 This entry was posted in Abstract & Motion, Observational, Photography and tagged July, MoMA, New York, New York City, NYC, Overexposure, Street, Suits, Taxi, W54th on September 2, 2013 by damienpitter. This entry was posted in Observational, Photography and tagged Crosswalk, Intersection, Japan, Night, Rain, Reflection, Salaryman, Street, Street Lights, Tokyo, Umbrella, Wet, Zebra on July 27, 2010 by damienpitter. 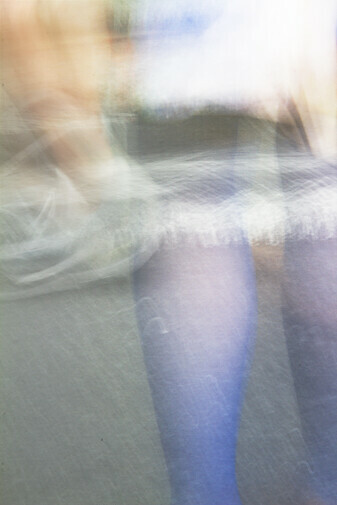 This entry was posted in Observational, Photography and tagged Black Leather, Boots, Fashion, Japan, Lockers, Street, Tokyo on July 27, 2010 by damienpitter.